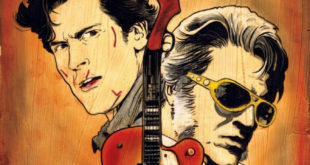 Not a dream, not an imaginary tale (well kinda) – Army of Darkness’ Ash is meeting Elvis from Bubba Ho-Tep! All because of a new book of the dead. 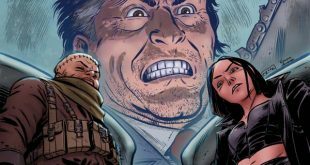 Do you like comics? Do you like Army of Darkness? 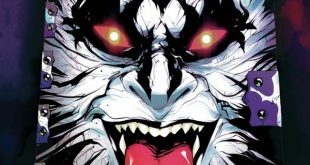 Then you’re going to love the build-a-bundle deal that Dynamite Comics has cooked up for the property’s 25th anniversary. 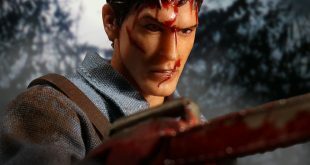 He’s been a long time coming, but Ash is finally joining Mezco’s One:12 Collective. 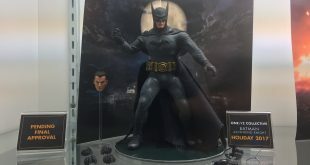 The figure is up for pre-order right now. 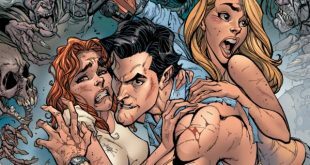 KISS (yes, that KISS) is about to get groovy, as they crossover with Ash and the Army of Darkness. 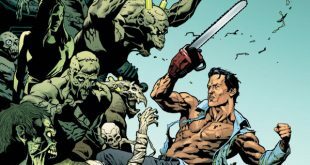 Ash might be taking on the Evil Dead on TV, but now he’s going to be going head-to-head with the Army of Darkness on the printed page. One of the best collector figure lines out there, the One:12 Collection continues to dominate at Mezco Toyz. Evil Dead 2 isn’t just the second movie in the resurgent horror franchise, but a whole universe unto itself. And thanks to Space Goat, it’s about to get even bigger. Take one part Mad Max, one part classic monsters, and then add in a heaping-helping of Army of Darkness. Now shake all that up and you’ll probably get Army of Darkness: Furious Road. 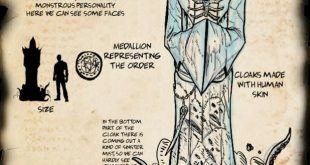 Looking for a little spooky reading for this Halloween week? Check out the Humble Bundle, which is loaded for bear with Deadites, boomsticks, and a hapless hero in space. 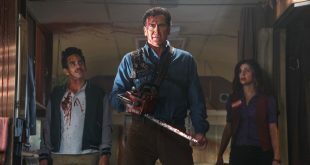 Hitting on Halloween, the debut episode of Ash vs The Evil Dead on Starz Channel will bring one of horror’s most beloved hero back on the global scale. 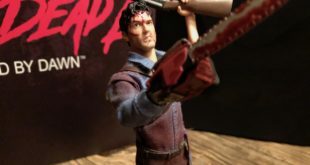 You might be aware of the fact that there’s an Evil Dead show hitting the air thanks to Starz Channel, but the network is going all out for the debut of the show and the upcoming Halloween holiday with a marathon of the movies. 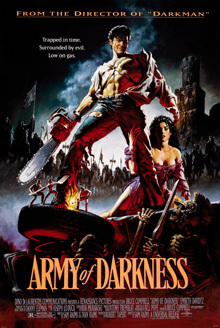 The final movie of the original Evil Dead series is the unforgettable comedy, The Army of Darkness. 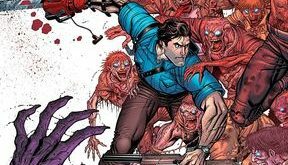 While I don’t love it as much as the Dead By Dawn, no one can deny the pure legacy and quotability of The Army of Darkness. 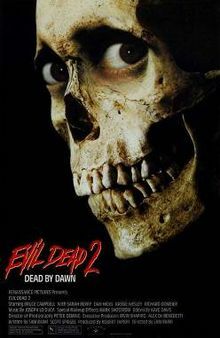 As promised for the second week of Horror in May, here is my review of The Evil Dead II! 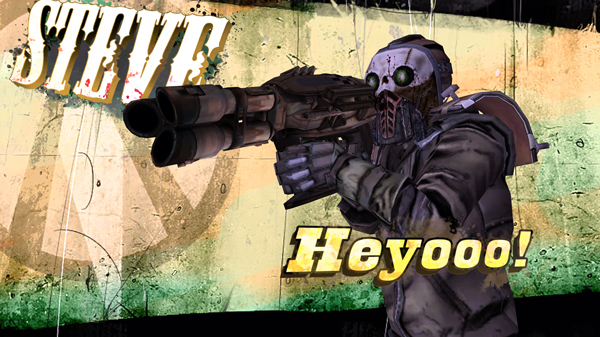 No matter what platform you’ll be playing on, Telltale’s Poker Night has some very cool unlocks for you.